The Frendzy concept features a large Renault logo as its centerpiece. 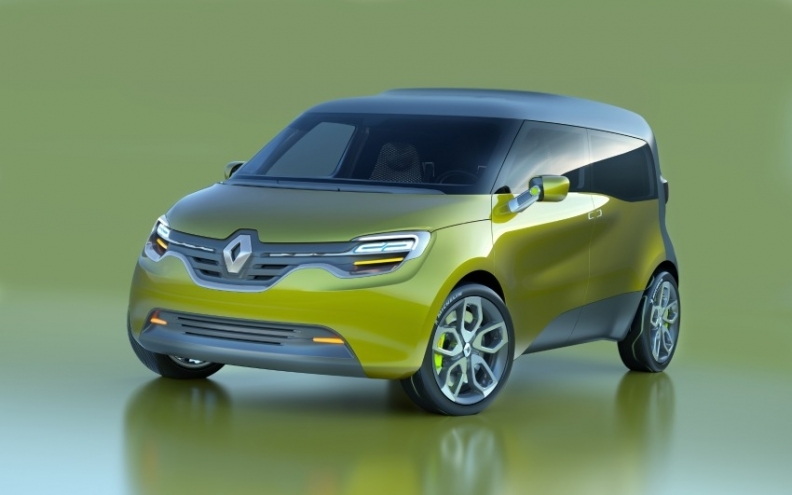 Renault SA has unveiled its Frendzy EV concept ahead of the car's official debut at the Frankfurt auto show in September. The car-based van is intended as an all-in-one solution for those who need a light commercial and family vehicle in one. ''Frendzy takes an original and innovative stance on the world of light commercial vehicles -- a key part of Renault's activities," Renault Senior Vice President of Design Laurens van den Acker said in a statement. 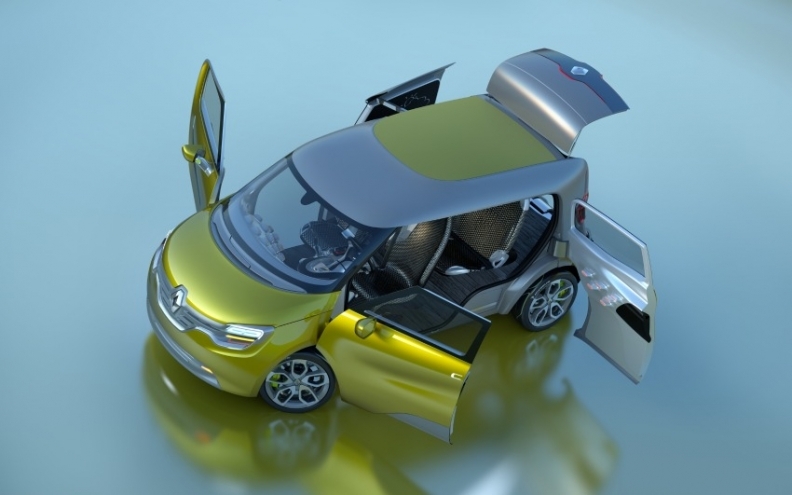 The vehicle is the fourth in a range of six concepts intended to highlight Renault's new design philosophy. It follows the the DeZir sports car, Captur crossover and R-Space MPV and features the brand's new frontal identity, which includes a large Renault logo as its centerpiece. The Frendzy has a load capacity of 2,250 liters, according to Renault. Power comes from the same drivetrain used in the battery-powered Kangoo Z.E, which gives the Frendzy a range of about 160km (100 miles) on a single charge and a top speed of 130kph (81 mph), according to Renault. The automaker has developed a number of sounds for the battery-driven vehicle that allow it to be heard on the road. At 4091mm long and 1872mm wide, the Frendzy is smaller than a Volkswagen Touran, which measures 4397mm by 2081mm, but offers a load capacity of 2250 liters, which surpasses the Touran's 1989 liter capacity. The Frendzy concept has no central pillars and a sliding side door on the passenger's side, which incorporates a 37-inch screen for posting messages or advertising. To allow easy loading, the concept has no central pillars and a sliding side door on the passenger's side, which incorporates a 37-inch screen for posting messages or advertising. On the inside, the vehicle offers magnetic fixings and storage systems for business and family users alike and green and orange ambient lighting. At the heart of the vehicle is a computer tablet that fits into the dashboard and allows the driver to operate the vehicle as an office-on-wheels, browsing the Web and monitoring business activities conducted with the vehicle. Alternatively, in family mode, the tablet can be used to control films or games on the touch-sensitive pad incorporated into the back of the driver's seat.